Lionsgate have announced more details in their exciting partnership with Fandango. Buy tickets for Catching Fire in Fandango's presale on October 1st, and automatically unlock a download of Phantogram's "Lights" from the soundtrack album. 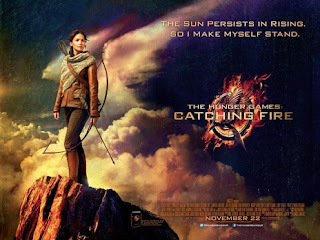 You will also be entered into a sweepstakes, for a chance to win a trip to a Catching Fire filming location in Hawaii. Other prizes include a free HD download of The Hunger Games from Amazon, and other movie tickets courtesy of Fandango. In addition to the pre-sale, an exclusive IMAX behind the scenes featurette for Catching Fire will be debuted by Fandango on Tuesday! Please contact us with any questions about the film’s advance ticket sales.